Folk dance group VETRA (the name means “storm”) has been established in the year 1986. The founder and the leader of the group is Vilius Sleinius. The leader of the folk music band – Gintautas Bareikis. In the group VETRA dance people of various professions, people who grew fond of the folk dance, music, songs, people who enshrine and uphold Lithuanian national traditions. Dancers wear Klaipeda region national clothes. There are various kinds of dances, beginning with the gvil’s and ending in cheerful couple dance’s compositions. 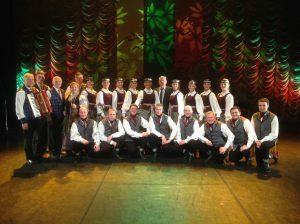 The ensemble VETRA is the laureate of the national folk dance competitions: in the year 1997, 2005 and 2009 – “Pora už poros” (“A couple of pairs”), in 2000, 2002 and 2010 – “Iš aplinkui” (“From around”), in 2013 – “Klumpyne” (the name of the festival-competition means a lot of Lithuanian national wooden shoes and the prize is a very big such shoe – klumpe). In 2000 VETRA has been ranked the best among the amateur groups and awarded the nomination called THE GOLDEN BIRD. 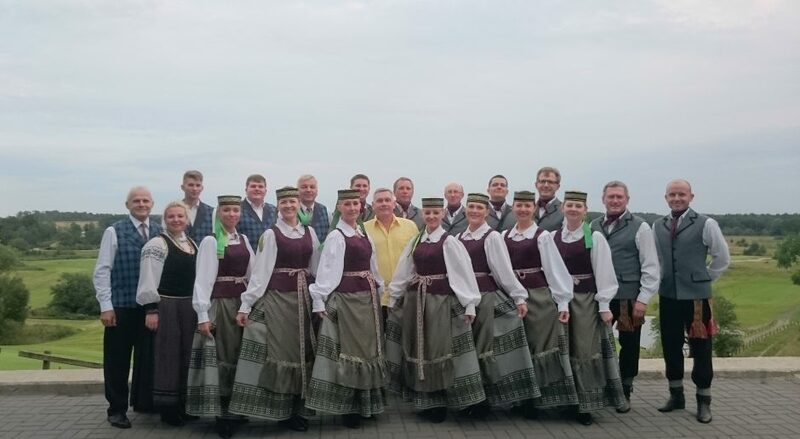 The ensemble gives many concerts in its native town Klaipeda, as well as in its country Lithuania. It is a participant of all latter years’ national song and dance fests. VETRA travels very much, and since the year 1995 it has present his national arts time and again in various European festivals, as in Russia, Germany, Hungary, France, the Netherlands, the South Tyrol (Italy), Slovakia, Latvia, Ireland, Spain, Romania, Greece, Denmark, Estonia, Sardinia (Italy). 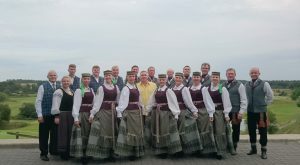 In 2009 the group VETRA took part in the Millennium Song and Dance Celebration of Lithuania. 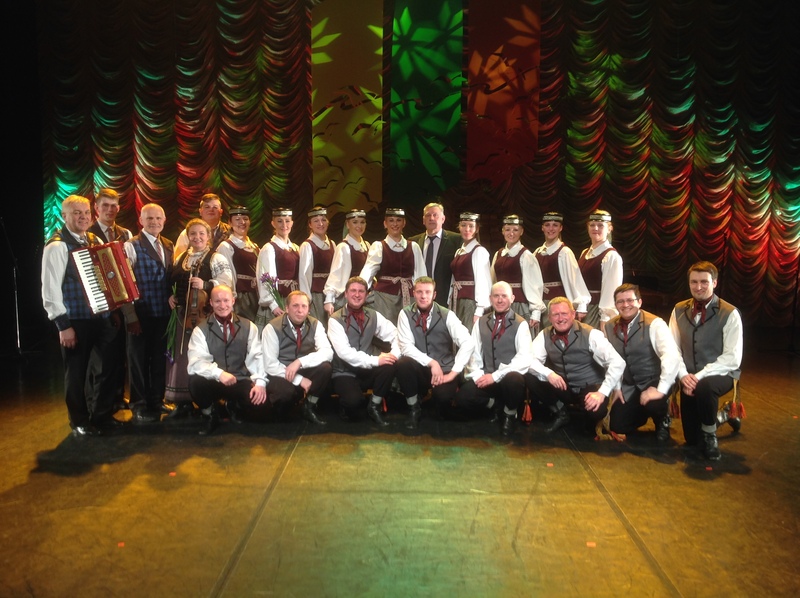 In 2011 the ensemble has presented Lithuanian dances in the 48th Europeade in Tartu (Estonia). VETRA takes part in European youth and culture weeks since the 6th event held in Hungary in 1996. In summer 2008 VETRA became a host of the 12th European youth and culture week, which took place in Klaipeda town and Klaipeda region. VETRA will be in Timisoara for the 16th of the European week of youth and culture (31. July – 06 August 2016). You can follow this dance group on their facebook page, click here.